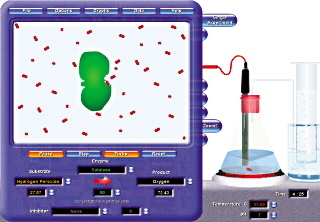 Perform virtual experiments with enzymes! 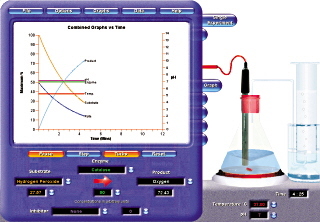 Conducting experiments with Enzyme Lab develops an understanding of the scientific method and a clear appreciation of enzyme kinetics. 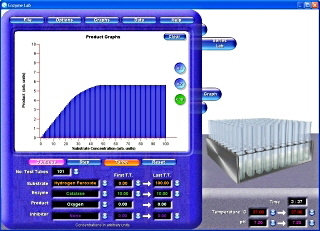 Enzyme concentration, Substrate concentration, Temperature and pH. The virtual laboratory includes 8 different enzymes including catalase, pepsin and amylases, as well as competitive and non-competitive inhibitors. Observe what it is happening in your flask with three levels of zoom showing overall molecular activity, a single enzyme and its surroundings or the active site of the enzyme and how it is operating.